Milford - Vincent John O’Donnell, well into his 96th year, passed away peacefully on Thursday, October 5, 2018, while at the Delaware Hospice. Vince was born and raised in the Germantown area of Philadelphia, PA. He received his primary and secondary education at the local Catholic schools. A strong desire to answer the call of the sea directed him to enter the Pennsylvania Maritime Academy in Philadelphia where he graduated eighth in his class in 1944, having earned a Third Mate License and a Commission as Ensign in the U.S. Navy Reserves, he chose the Merchant Marine Service. At that time, WWII was far from over and Vince sailed aboard a variety of merchant ships in both the Atlantic and Pacific Theaters delivering supplies and war materials to the troops. After the war he remained in merchant service for several years then entered the landlubbers’ world. When the Korean War erupted he was called to service and activated his Commission for U.S. Naval duty. His final rating was First Lieutenant, USNR. His civilian employment was varied and included production of small fiberglass boats to sales representative in the printing and bookbinding industry. However, he never loss his love of the sea and his remembrances of his sea experiences are legendary among family and friends. 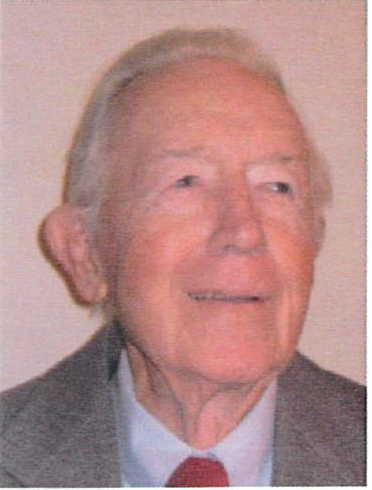 Mr. O’Donnell was active in his community and was a member of several organizations, including; American Merchant Marine Veterans (AMNV), Project Liberty Ship – SS John Brown in Baltimore, U.S. Coast Guard Auxiliary since 1998, and the American Legion – Post 3 in Milford, DE. He is survived by his wife Patricia H. O’Donnell; one son, Jude Thaddeus O’Donnell, and four daughters: Rosemary Heydman (Tom) of CO; Maureen Garwarecki (Roger) of SC; Deborah Stachnik (Adam) of NZ; Sherry Schumaker of NJ; six grandchildren and six great-grandchildren. Also surviving are his sister, Helen Cannon of Blue Bell, PA and numerous loving nephews and nieces throughout the U.S. Vincent was predeceased by his first son, Lt. Col. Vincent Michael O’Donnell, USA. A Requiem Mass will be held at 11:00 a.m. on Wednesday, October 17, 2018, at St. John the Apostle Catholic Church, Milford, DE.